Inspired by a fall favorite, these bundts have all the trimmings! A java infused cake is speckled with spiced apples, then cloaked in white chocolate, grated chocolate and a caramel drizzle. I have been going crazy this season with apples. My creativity was put on hold due to a cold but now that I’m better, I’m feeling inspired all over again! So, the last time we spoke I mentioned caramel and apples – a match made in heaven. Alas, I got my wish and so did you. 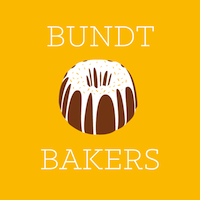 #BundtBakers have joined forces to bake our favorite beverage-inspired bundts, and our lovely hostess, Laura, is back again to lead the pack. It was a tough call this month because there are so many drinks out there that would have been perfect for this challenge. I started with a white cake mix base and kept it relatively low-fat by adding apple sauce in place of butter and oil (the more apples, the merrier) and then added a cup of good, really strong coffee for a rich, golden batter. I folded in spiced apples, which also added to the beautiful hue. Good thing these cakes are low-fat because when it came to toppings, I went all out. I covered these gems up in white chocolate, then dusted with chocolate shavings, and if that weren’t enough, I went to town with the caramel sauce. The result was a super moist cake, bits of warmly spiced apples, a hint of coffee and a whole lot of yum! In a small bowl, toss together apples, vanilla, spice mix, cornstarch and sugar. Set aside. Preheat oven to 350 degrees F. and butter a bundt mold or mini bundt pan. In a large bowl whisk together apple sauce and eggs until smooth and creamy. Add coffee and whisk again. Gradually add cake mix until a thick but smooth batter forms. Fold in spiced apples to the cake batter. Pour the batter into each bundt mold. Bake for 20 minutes or until golden and cake tester comes out clean. Let cool completely on a wire rack, then gently turn each cake over onto a plate. Melt down melting chocolates and drizzle over each cake. Spread the chocolate evening, then sprinkle with shaved chocolate and a generous drizzle of caramel. Sorry to hear about your cold but glad you're feeling better, Catherine! 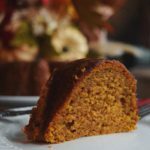 These cakes sound delicious lightened up with apple sauce and I love the coffee twist! The bundlettes look so nice and with all the caramel and chocolate toppings, it must be so tasty! I love the addition of the coffee. I must try this to see what that tastes like with all the other great ingredients! Oh what I wouldn't give for one of these little bundles of goodness right now. Oh heavens, that looks marvelous. You had me at latte, but then you went and added all that yum to the top of it and now I'm drooling on my keyboard. What a great idea! And so true, it's definitely the season for lattes. What lovely photos of such lovely little cakes! The flavors sound absolutely delicious! I am glad you are feeling better! Love these cakes and all of their flavors! What lovely flavors! I wish I had one of these in front of me! They look amazing. Amazing, as usual! 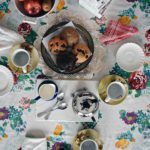 These little cakes sounds delicious and I love your food styling in the pics! Sorry to hear you were not feeling well, but glad you are better. I am sure a slice of this cake helped you get back on your feet. It looks moist and delicious, love the add of latte flavor. This looks so yummy, I love the caramel drizzled on top! Your right Tammy, autumn is latte season lol, I've been craving them like everyday as soon as the cold weather hit. Your mini bundts look divine, I love all the flavours you've used. 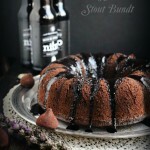 Catherine you've inspired me to try a Bundt cake- This looks amazing and what a lovely flavor combination! Now I can not just enjoy a delicious cake but also my coffee too! Love this loads - looks so scrumptious! OMG I just drooled! YUMMY! :) Thanks for joining Cooking and Crafting with J & J! These cakes are gorgeous, Catherine. I love that you added coffee to the batter, what a great idea. I bet these were so good - just a lovely combination of flavors. Yummy! 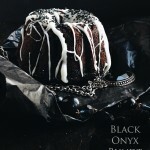 If it tastes as good as it looks I may be in trouble! LOL. Oh. It does. ;) Thank you for stopping by! This looks great, and I'm sure it tastes even better! I love to do taste test of this one, looks cute and delicious, thanks for sharing with Hearth and soul blog hop, pinning and tweeting. That looks just fabulous! Thank you for sharing at Home Sweet Home! I'm glad you are feeling better, Catherine! What a gorgeous cake! Love the spiced apples too. 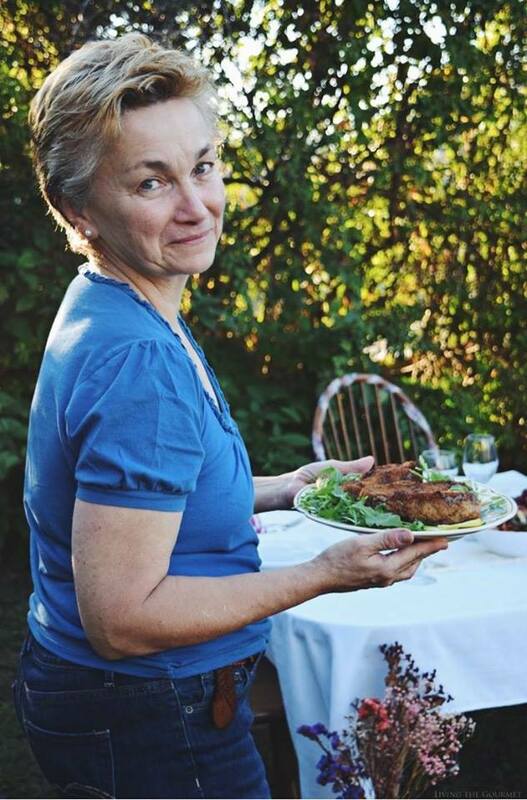 Thank you for sharing this wonderful recipe with us at the Hearth and Soul Hop. Hope to see you again this week! Tammy, this looks absolutely heavenly. 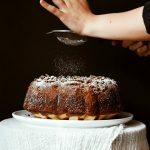 I would never have thought of coffee in an apple cake, but I'm drooling, and pinning so I can give it a try. Thanks for linking up with Best Of The Weekend! These look wonderful! Thanks for sharing this lovely recipe.